Using Keycloak with Spring Boot applications is usually just a matter of a few lines of code when you use Keycloak‘s adapter integrations. However, most of the integrations require using the OpenID Connect protocol for web-based Single Sign-On (SSO) and sometimes it might be necessary to use SAML instead of OpenID Connect. In this blog post, you’ll learn how to configure your Spring Boot app to use SSO via SAML with Keycloak. SAML is a mature standard protocol for authentication and authorization which is heavily used across many industries. Among many other things, it provides powerful Single Sign-On capabilities with the Web SSO profile. If you want to use SAML in a Java application, you have many options, but the most common ones are using OpenSAML or Spring Security SAML. 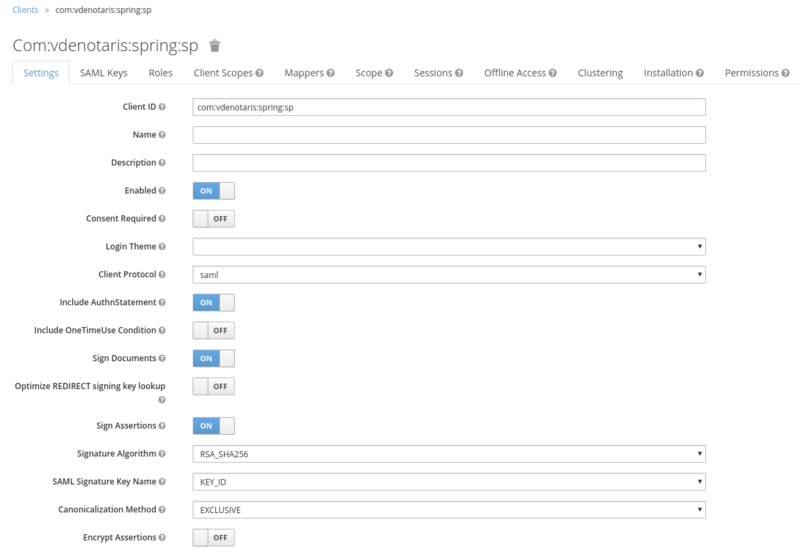 This time we’ll use a Spring-Boot-based app with plain Spring Security SAML without any Keycloak adapters involved as example client. The code for the spring-boot-security-saml-sample application can be found here. Note that this example application is based on the Spring Boot Security SAML Sample app by Vincenzo De Notaris. In our scenario we have two parties that interact during the SSO handshake. The Spring Boot app acts as a Service Provider (SP) and offers a service to the user. The Keycloak server plays the role of an Identity Provider (IDP) and provides means to authenticate a user for a Service Provider. 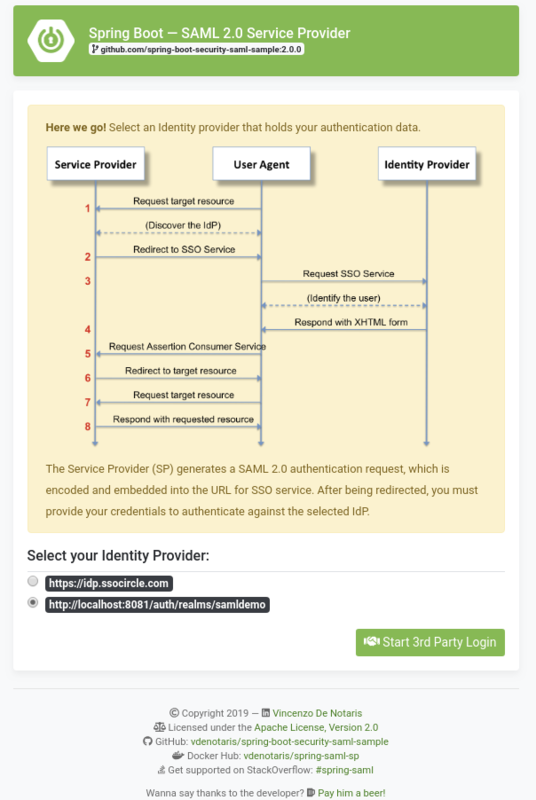 The SAML Web SSO profile describes a set of messages that get exchanged between the involved parties. Those messages are XML documents that contain information about authentication requests/responses with signatures and used certificates, as well as potentially signed and encrypted user information in the form of SAML assertions. SAML describes multiple styles of communication between two parties. The most common ones are POST-Binding and Redirect-Binding. With POST-Binding the two parties exchange SAML messages via HTTP POST requests. Those POST requests are triggered via dynamically generated, automatically submitted HTML forms, which we’ll discuss later. The nice thing with POST-Binding is that, since all the information is sent via HTTP POST, no sensitive information can be leaked in web server or proxy logs or browser histories. Just a quick note about the the Redirect-Binding. As the name suggests, the Redirect-Binding makes extensive use of HTTP redirects and transmits SAML messages as base64 encoded URL parameters. Although this might seem much easier than the HTTP-POST-based approach, it can lead to leaking information in the aforementioned logs. We’ll use POST-Binding for the remainder of this blog post. If you have worked with Spring Security, then you probably know that Spring Security SAML is usually configured via XML. An example of what this looks like can be seen in the WebSecurityConfig class in our example app. We also need to ensure that the Keycloak IDP definition is automatically picked up by the Spring Security SAML infrastructure. To do this, we modify the metadata bean to let Spring autowire all available MetadataProvider instances via the providers parameter. For this blog post, we create a realm with the name demo. Note that I tested this with Keycloak 4.8.3.Final. In this demo realm, we need to create a client configuration for our Spring Boot app. Create a new SAML client in Keycloak with the client-id com:vdenotaris:spring:sp. In the SAML Keys tab you need to import the Keystore of the example app. Your client is now set up to use the POST-Binding method of the Web SSO SAML Profile. Now click on Global logout to log out again. As the name implies, this logs instructs Keycloak to propagate the logout to all clients which have an Admin URL configured or rely on Keycloaks Cookies, such as the Account app built-in to Keycloak. Now that everything works, let’s dig a bit deeper and see what’s going on under the hood in your browser. To do that, we install one of the available SAML debugging tools as a browser extension. Since I’m using Chrome, I use SAML Chrome Panel. If you enable this extension and try to log in again, you’ll see the SAML messages that are exchanged between our app and Keycloak. Note that you might need to enable the extension for incognito mode / private browsing as well. The AuthnRequest is quite dense and describes things like involved party (e.g. com:vdenotaris:spring:sp), communication methods (e.g. urn:oasis:names:tc:SAML:2.0:bindings:HTTP-POST) and certificate information. The AssertionConsumerServiceURL which is configured as http://localhost:8080/saml/SSO denotes the endpoint that Keycloak (the IDP) should use to send SAML responses to our app (the SP), whereas the Destination denotes the SAML protocol endpoint on the Keycloak side which is http://localhost:8081/auth/realms/demo/protocol/saml. This is sent via HTTP POST by your browser to the http://localhost:8081/auth/realms/demo/protocol/saml endpoint of your Keycloak IDP server, which responds with a browser-redirect to a login form to perform the authentication. So what’s in the XML? …which is then finally posted to the http://localhost:8080/saml/logout endpoint of the Spring Boot app to conclude the logout process. The Spring Boot app then sends a redirect back to the base URL where the user can log in again. Wow, that was already quite a lot to ingest, right? But we missed one important thing, encryption! Let’s quickly configure encryption support in the Keycloak client and see how it affects the SAML messages. To enable encryption for our SAML client, we need to adjust the client configuration. Your client is now properly configured to use encryption. 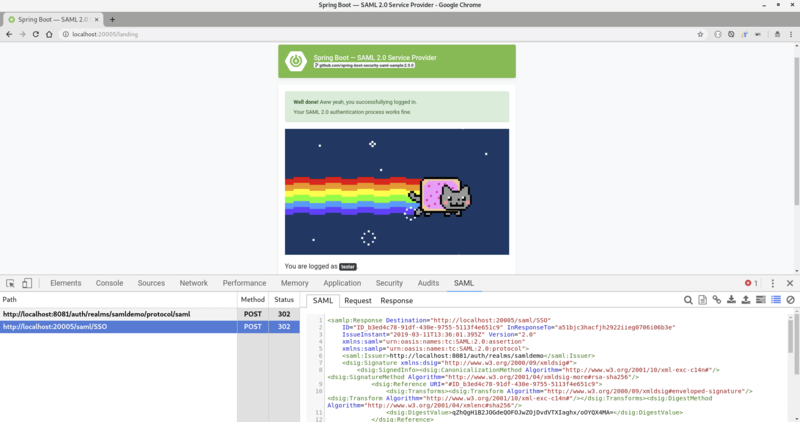 Let’s have a look at the SAML Response messages with the SAML Chrome Panel. Instead of an saml:Assertion element we now see saml:EncryptedAssertion which contains the data from our previous assertion in encrypted form. Besides the various browser extensions, there is also a useful Burp extension called SAMLRaider, which can be used to inspect and manipulate SAML messages. 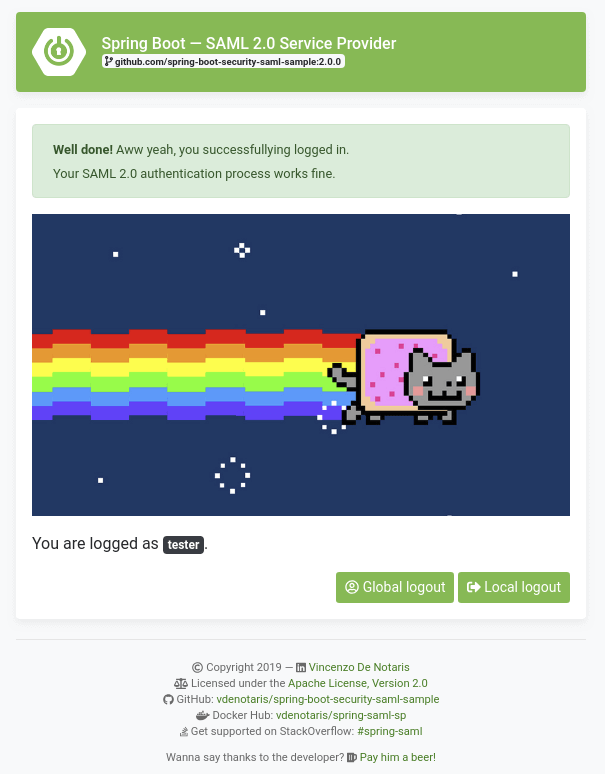 This concludes our quick tour of SAML interactions with our example application. I hope you enjoyed the ride and learned something new. Thomas Darimont is a Fellow at codecentric AG in Münster/Germany, where he helps customers implement centralized identity management platforms. Previously, he worked as a Principal Software Engineer in the Spring Data team at Pivotal. He has over 15 years of experience in the development of Java- and .NET-based enterprise applications and open source projects. 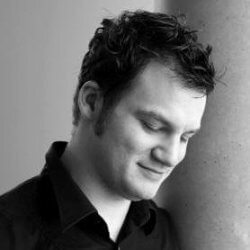 His working focus is centered around software architecture, the Spring ecosystem, performance tuning, and security. In his spare time, he loves organizing community meetups and contributing to open source projects like Keycloak, Spring, and Cloud Foundry.